Marketplace software, also called multivendor marketplaces, enable users to create and manage digital storefronts that host product and services listings from multiple vendors. These tools simplify and streamline the entire process of creating, hosting, and managing an online marketplace, from website design to vendor communication to shipping. Marketplace software are very similar to e-commerce platforms in that they facilitate the building and management of digital storefronts; however, e-commerce platforms are intended for a singular vendor, while multivendor e-commerce platforms function as a digital marketplace. Many products are offered as a standalone platform, but others are exclusively, or can be offered, as a plugin for another web content management system. Marketplace reviews by real, verified users. Find unbiased ratings on user satisfaction, features, and price based on the most reviews available anywhere. Multi-Vendor is a professional marketplace platform, which allows you to open an eBay-like marketplace. You invite vendors, give them access to micro-stores on your marketplace, and take commissions from their sales. Multi-Vendor has everything you need to quickly install it and start selling: a powerful pack of marketing features, a fast and mobile-friendly storefront, excellent SEO optimisation, convenient and easy-to-use admin panel, and more. It is ready for high load out of the box. Kahuna is a mobile marketing automation company dedicated to fostering user delight and driving engagement and revenue through mobile. We help companies understand and intelligently communicate with customers wherever they are: email, mobile web and apps, and social networks. We believe there is magic in delivering the right message to the right customer at just the right time. Kahuna is trusted by Yahoo, Overstock, HotelTonight, and hundreds of others. 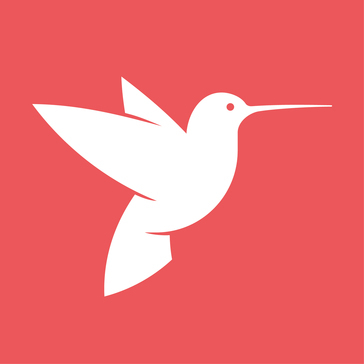 The company was founded in 2012 and is funded by Sequoia Capital. Sharetribe is easiest way to start your own online marketplace. Create a platform where your users can rent or sell goods, spaces or services online. Get started in less than a minute and launch yours today. No downloads, no installations, and all without the help of a developer. Sharetribe handles all the hosting, transactions and online payments. It is easy to use and simple to customize. Sharetribe takes care of the tech, you take care of business. Try the 30-day free trial and see for yourself. MarketEngine is a multi-vendor marketplace platform developed and published by EngineThemes. Mirakl powers your platform strategy by allowing you to quickly launch an online marketplace. Marketplaces allow companies to easily add products and services by connecting third-party sellers and providers. The Mirakl Marketplace Platform automates the hard things about marketplace management: Seller onboarding, service quality control, and order distribution; on a turn-key solution that’s easy to integrate into any e-commerce platform. 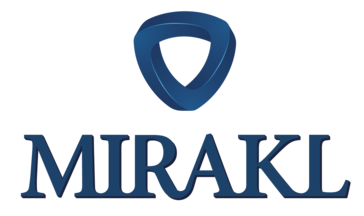 Over 150 customers in 40 countries trust Mirakl’s proven expertise and technology including Urban Outfitters, J.Crew, Madewell, 1-800 Flowers, Toys"R"Us, Hewlett Packard Electronics, Best Buy and Walmart. Dokan is a Multivendor Marketplace Plugin and eCommerece Solution for WordPress. Genstore is a multi-vendor eCommerce marketplace software. Help entrepreneurs and online businesses to easily open an online marketplace where multiple vendors sell their products or services on a single storefront with vendor stores. Your marketplace can host unlimited number of vendors, categories and products where the marketplace owner has full control over every single feature of the platform regardless if it's a backend or storefront feature. JaJuMa-Market is the Magento-based marketplace software walkthrough. JaJuMa-Market is flexible and thus ideally suited for your multi-vendor business case and your individual requirements. Kopatech is an innovative, customer-centric full-range Web, eCommerce and Mobile Application Development company that focuses on quality and timely delivery. Kreezalid is the perfect e-commerce solution to launch your marketplace whether it is for sharing, products selling or rentals. CedCommerce MultiVendor Marketplace Extension transforms a normal magento ecommerce store into a multi vendor marketplace. Available in three version makes marketplace creation not only easy but can be termed as a cost effective solution for setting up a feature rich marketplace. Marketplacer makes it easier for entrepreneurs and businesses to begin and scale their marketplace vision. It is a global platform which brings the capability to create all types of marketplaces including platforms for products, services, events, booking and digital downloads. Marketplacer comprises some of the most successful speciality case studies in the world including BikeExchange (Australia, US, Germany, United Kingdom, Belgium, Netherlands, Ireland, New Zealand), CyclingTips, Outdoria, House of Home, Tixstar, Lenzo and TiniTrader). MyMarketPlaceBuilder offers solutions and tools to create multi-vendor marketplaces. Turn your online platform into a B2B, B2C, or C2C curated or endless aisle marketplace. Utilizes custom built full stack plug-in to eliminate your need for years of internal development. Prestashop Multi-vendor Marketplace Module is one of the easiest ways to convert your eCommerce site into a full-fledged Marketplace. The Prestashop Marketplace addon allows the small vendors to list their products and sell them on the marketplace. Retaxis is an online multi-vendor marketplace platform that allows businesses to create B2C, B2B, services or hyperlocal marketplaces. Rocket Bazaar is a magneto based multi-vendor marketplace platform allows companies to build multi-seller stores. Sellacious is the NextGen, Open Source and Scalable Omni-channel eCommerce and Marketplace with flexible configurations to create integrated POS and Online Stores. Sellacious is a complete eCommerce suite, comes packed with a range of practical business features with a very less requirement of any additional plugins integration. Sellr! is one of the most technically advanced multi vendor ecommerce script or multi vendor php script out there in the market. Start your own social shopping app with the best ecommerce script and social mobile commerce business using our / Fancy Clone / Wanelo Clone / Etsy Clone / Dubizzle Clone / Souq Clone which uses state of the art technologies like Php , MongoDB , Stripe for adaptive marketplace payments , Mailgun API for transactional emails , Twilio for SMS services , Amazon SNS for advanced Push services. Shopery empowers brands and retailers to grow their online sales through a suite of SaaS ecommerce solutions. Our flagship marketplace software enables the launch of scalable and flexible marketplaces, incorporating the catalogue of products and services of external companies such as suppliers and distributors. Having a wider offer, a marketplace attracts high traffic generating more sales and allowing our client to monetize through commissions, and through monthly quotas to the sellers of the marketplace. We streamline daily marketplace operations and simplify the tasks that are traditionally more difficult to manage, such as vendor, catalogue and comission management. Shopery also provides high-end online store solutions to leading brands, as well as tailored digital transformation projects to larger corporations. Co-founded by Antai Venture Builder, Shopery boasts a team with extensive experience in the development of successful marketplaces, such as Wallapop, Glovo or Cornerjob. Shopery Marketplaces empowers ventures and brands to build and scale their marketplaces through a SaaS solution. Our software enables the launch of scalable and flexible marketplaces, incorporating the catalogue of products and services of external companies such as suppliers and distributors. Having a wider offer, a marketplace attracts high traffic generating more sales and allowing our client to monetize through commissions, and through monthly quotas to the sellers of the marketplace. We streamline daily marketplace operations and simplify the tasks that are traditionally more difficult to manage, such as vendor, catalogue and comission management. Point of Sale + Open Source Ecommerce A match made in retail heaven. We took our easy Point of Sale and Sales Operations software and combined it with our high performance ecommerce backend. Control your entire retail operation, on- and offline, from one simple app. X-Cart Multi-Vendor eCommerce solution helps online merchants easily open an online store where multiple vendors sell their products, services, rentals and electronic goods through a single storefront, whether it be a small online mall or a huge marketplace like eBay or Amazon. Hi there! Can I help you find the best Marketplace solutions?